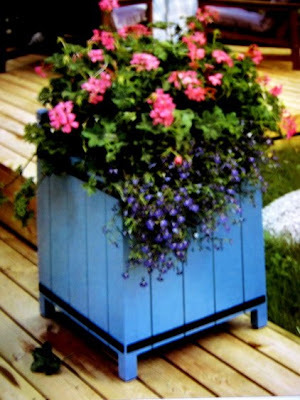 This handsome planter is superior to any store-brought one. Choose Western red cedar; it is the only timber that has the capability to withstand the moisture and elements without rotting or twisting and cracking. Painted Oregon or treated pine can be substituted, but at your peril as they will not weather well. The metal strapping (it could also be brass) idea is borrowed from the wine barrel and is vital to hold the planter together. As the joints are just butted and screwed, epoxy glue should be used on them to give the planter strength, especially if it is going to be moved around occasionally.